Jordan Brand made their name with their tons of men’s basketball shoe but they are expected to make waves with the release of a women edition of one of their famous models. JB is set to release a women’s edition of the Air Jordan 1, dubbed as the WMNS Air Jordan 1 Phat! 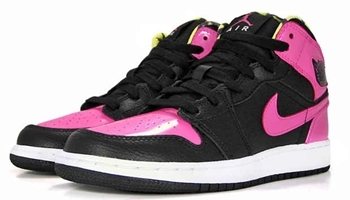 This new silhouette will be released in Black/Pink-Volt colourway! With this new strategy from Jordan Brand, expect them to gain more respect and in turn get more supporters with their expanding collection of stunning shoe models!